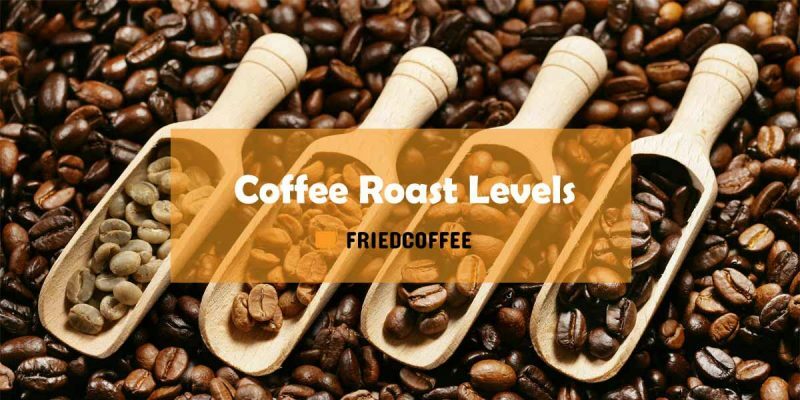 Roasting is the first crucial step when preparing the coffee beans for your favorite drink. It is the process that transforms the Green Beans to bring them a step closer to brewing format. It let’s them expand and change the color, taste, fragrance and darkness. In order to get the best taste of coffee, beans should be roasted at around the time of consumption. It ensures that the flavor and freshness of beans does not fades away after roasting. Most of the people who like to taste the fresh coffee prefer to roast coffee at home. The coffee is considered to be exact fresh, if it is brewed 24 hours after roasting. The aroma and taste are maintained in freshly roasted coffee, which fade with longer time span. People do prefer to buy coffee that is pre-roasted as it saves time, but trust me, there is a lot of difference when you roast at home. But don’t worry much, you can keep these beans for around a week. But ensure to store them in an air tight canister so that the flavors don’t get fade away on coming with direct contact to air. Roasting is not a very typical process but requires some understanding about the various grades. These are classified according to the degree of heat and the time spend in roasting. The preferred method of brewing and the kind of strength you like decides your Roasting type. Green Beans: These beans have a shelf life of almost two years from the date of packing. These are acidic in nature and lack taste. Drying Phase (165 °C): The first phase is the drying phase where moisture content is evaporated. Beans emit a grassy smell and turn into lighter yellowish color. New England Roast (205 °C): Moderate Brown Color and complex acidity levels indicating specialty roasting level by few commercial roasters. American Roast (210 °C): Medium Brown Beans maintaining the origin character. This is again a special Roast Level which is not commonly available. City Roast (219 °C): This is the first level that in use most commonly. And it is available with almost all the coffee roasters. It is good for tasting the actual character of coffee beans. This brew is used by most of the people using drip brewing method. Full City Roast (225 °C): Medium Dark Brown in color, oil sheen on beans, and at the verge of second crack are the few characters of this roasting level. Beans also start to expand their size. This level is is in use at wider span. After City Roast, this level is in great consumption. Vienna Roast (230 °C): The beans turn into moderate dark brown in color and the origin characteristics start getting fading away. The sugar turns into caramel flavor, acidity escapes and the taste turn into a bittersweet. The surface becomes a slight oily at this level. Italian Roast (240 °C): Dark Brown Oily Beans with all the origin character diminished. The second crack comes to an end at this level and smoke starts coming out. This roast level is bitter in taste. Strong coffee lovers mostly like this kind of level. French Roast (245 °C):The last level of roasting where the smell will count as a bit burnt and the bean body will emit a shiny dark tone. Acidity is all gone and just bitterness survives here.Not preferred by many of the coffee lovers. After this level, we are just burning the coffee beans and nothing else. If you already know this, it’s great else you have learned a good lesson if you really love coffee. My personal suggestion is to read this article 3-4 times, and it will set inside your mind for lifetime.